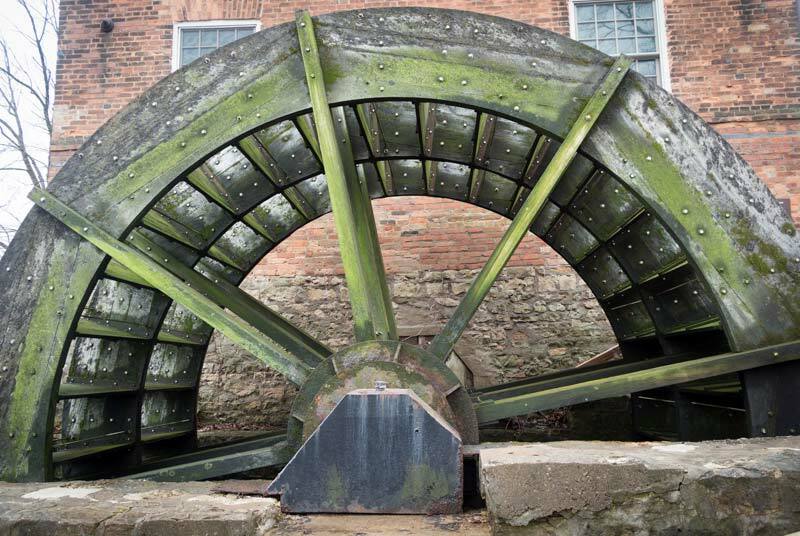 One summer morning in 1852, Fred Graue entered his mill and turned the wheel that opened the sluice gates outside. Water from Salt Creek rushed into the millrace and the wooden waterwheel began to turn for the first time. It would turn the machinery that would grind grain for the next seventy years. 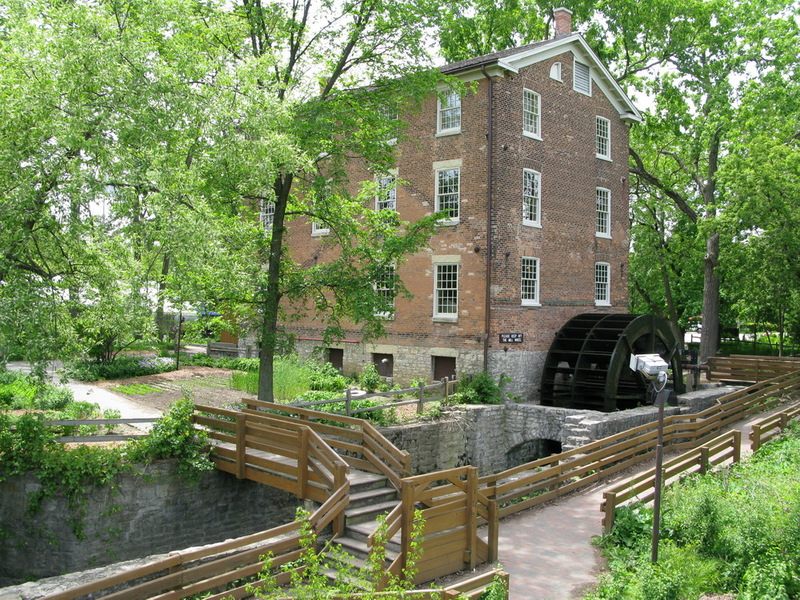 Today, Graue Mill is the only operating waterwheel gristmill in the Chicago area. “Graue Mill”, © Bill Schauert. Used with permission. Carol Jean Rogalski has secured a date for a Nature Artists’ Guild paint-out at this historic and lovely site, which is owned and maintained by the Forest Preserve District of Dupage County. Our paint-out is scheduled for the morning of Tuesday, September 17, 2013 from 9 am until 1 pm. Please contact Carol Jean if you would like to attend. You can find her contact information in your Yearbook. The address for Graue Mill is 3800 York Road, Oak Brook, Illinois 60523. We’d like to extend a special “thank you” to two members of the Morton Arboretum Photographic Society (MAPS), Bill Schauert and Bob Webster, for the wonderful photos. 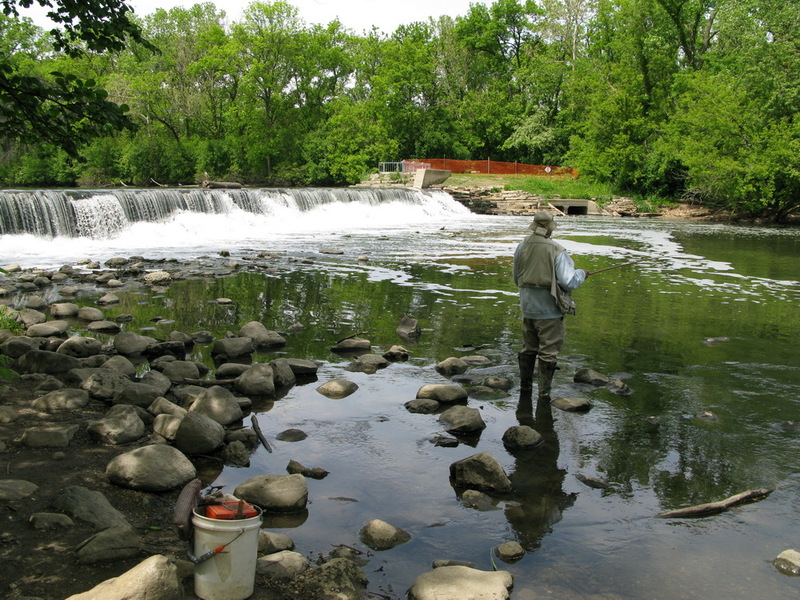 “Fishing at Graue Mill”, © Bill Schauert. Used with permission. “Graue Mill”, © Bob Webster. Used with permission. I hope to see you on Tuesday September 10th at Graue Mill about 9 am or thereabouts. It is at 3800 York Road, off Ogden Avenue, in Oakbrook, near Hinsdale.